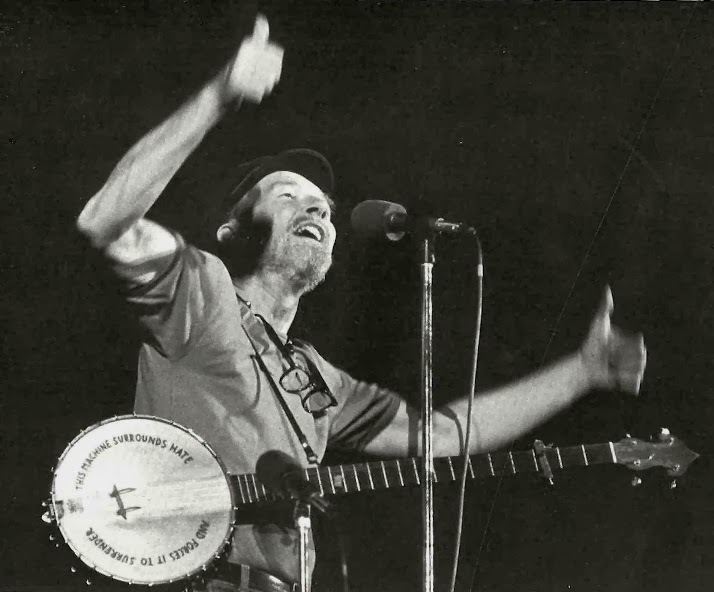 When Pete Seeger (1919-2014) was born the First World had only just finished. I don't feel so much sad that he has died this week almost a century later as amazed that his life, singing and activism has spanned such a long period of historical hopes, tragedies, victories and defeats. 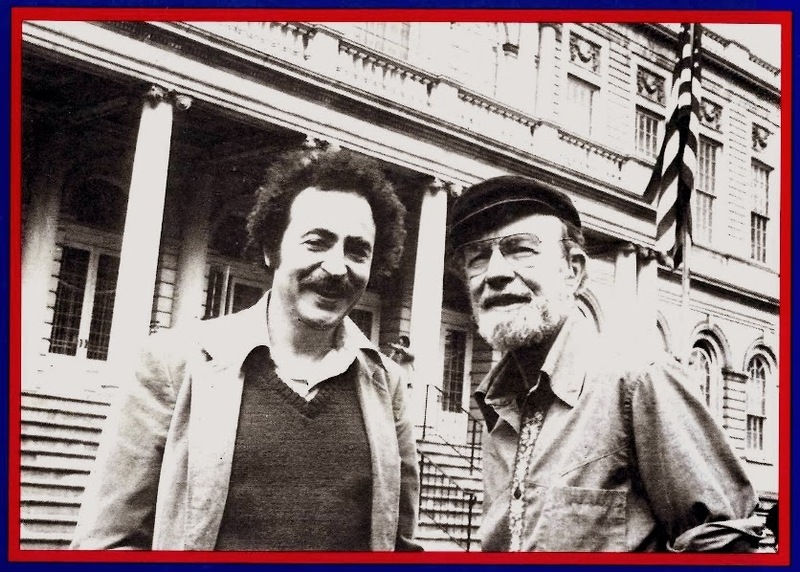 Pete Seeger's biggest direct influence on me was via a book rather than through his singing. 'Carry it On! 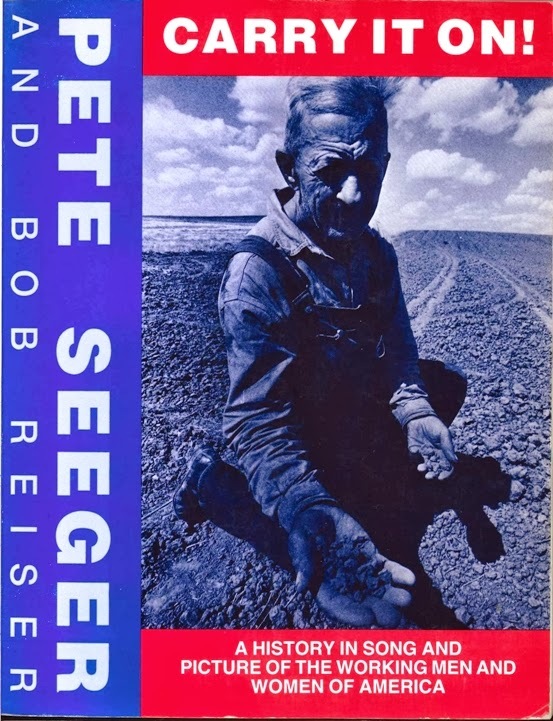 A history in song and picture of the working men and women of America' was written by Seeger with Bob Reiser and first published in 1985. 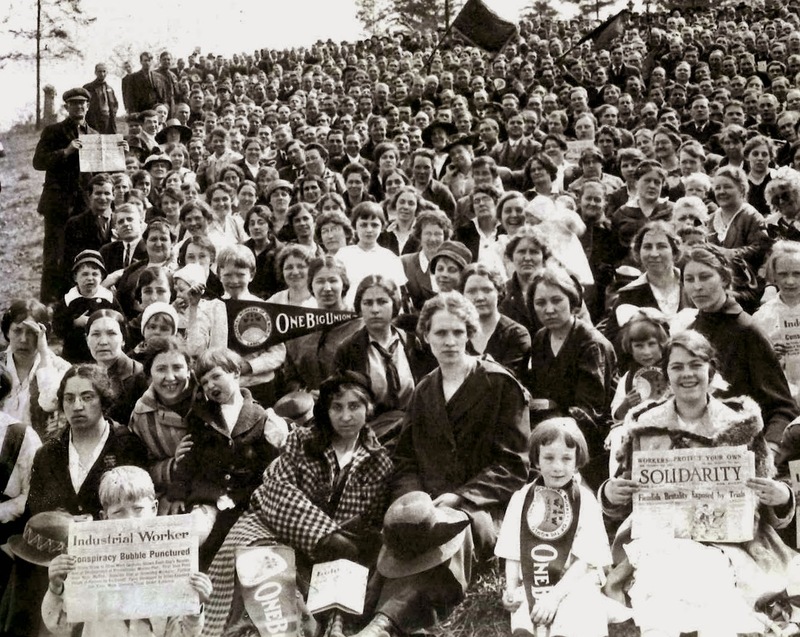 The book grew out of a 1982 call from Seeger, in the folk magazine 'Sing out' to 'commemorate the Haymarket Affair and celebrate working people and the growth of the unions'. The book provides a potted history of U.S. struggles from the late 18th century onwards, with some amazing illustrations and photographs. But what it mostly consists of is songs, with lyrics, chords and music. Work songs, wobbly songs, Woody Guthrie dustbowl ballads, civil rights songs, a couple of Seeger songs of course, and even a Dolly Parton number- '9 to 5' rightly being given it's dues as a great working class anthem. Along the way it makes an argument about the importance of song and music, not just as a soundtrack to social struggles, but as a source of inspiration at their heart. Each step forward came as a result of enormous work and courage, some bloodshed, and music like this which kept people's spirits alive... Keep singing. Keep making things better'. When I first came to London in the late 1980s, I learnt guitar at a Lambeth evening class in a school in Stockwell, starting out on Lead Belly songs. But it was through Seeger and Reiser's book that I was initiated into the canon of US radical songs, teaching myself 'Deportee', 'Joe Hill', 'This Land is your Land' and many others.There's still plenty of us to keep on singing. So what word comes to mind when you hear the name 'New Orleans'? Other than 'flood' it's probably 'music'. But the city's live music scene is under threat of new restrictions from a proposed new 'Noise Ordinance'. 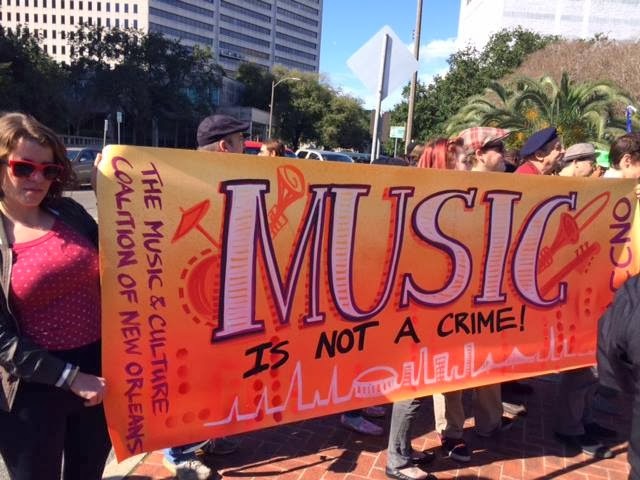 'The Music and Culture Coalition of New Orleans' is on the case and last week (17 January), musicians and their supporters converged en masse to protest at a Council meeting at New Orleans City Hall. Hundreds of people protested outside and then inside complete with their musical instruments. 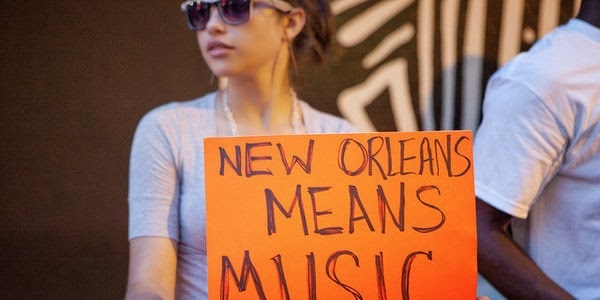 As summarised by Offbeat the proposal 'maintains the current city noise ordinance (which is decades old) mandate that noise ordinance violations in the City of New Orleans are a criminal, versus civil, offense, and therefore criminalizes musicians who receive a noise violation citation'. It also 'sets the legal limit for public music at 60 decibels, a sonic meter reading equivalent to that of an unamplified human conversation... This means that police officers can issue criminal tickets to musicians for performing at any volume level over 60 decibels in any public space, or if responding to a complaint, even inside a venue'. 1984 was no ordinary year. For a start it was a year carrying an ominous weight of dystopian expectations before it even started. Of course George Orwell was to blame, writing in the immediate aftermath of the Second World War and, after some hesitation, choosing in 1948 to call his novel 1984. If Orwell had stuck with his original working title, The Last Man in Europe, the sense of foreboding as 1984 approached would not have existed in the same way. As it was, his novel had been continuously in print ever since and millions had read of an English police state in a future envisaged as a 'Boot stamping on a human face, forever'. Others had seen film and TV versions (a new film, starring John Hurt, was to be released during the year). And even people only vaguely aware of Orwell and his work had imbibed some of its content, with terms like Big Brother and Thought Police entering into the language as synonyms for state surveillance and terror. David Bowie had written his '1984' song for an unrealized musical based on the novel. 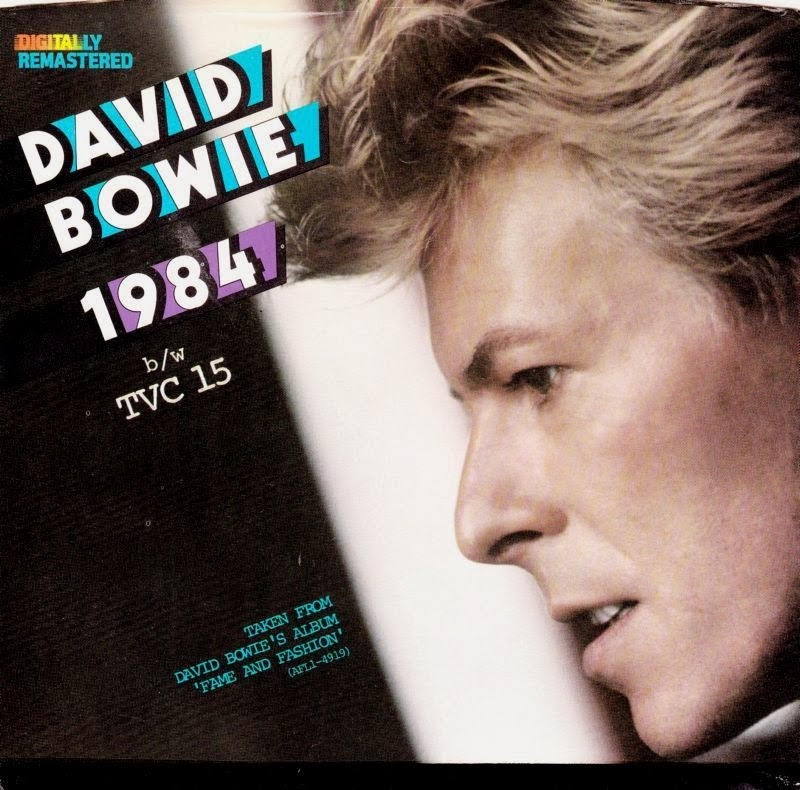 By the time of its release on the 1974 Diamond Dogs album, 1984 was becoming a myth of the near future, rather than the distant horizon it may have seemed to Orwell writing on the Isle of Jura a generation before. 1984 was now a date to count down to, an imminent moment of social explosion or apocalypse. The Clash's Year Zero anthem '1977' seems to suggest an escalation of class war ('ain't so lucky to be rich, sten guns in Knightsbridge'), with the years chanted at the end: 'it's 1978, it's 1979...' through to an inevitable abrupt stop with 'it's 1984!'. Other punk songs from the same period included 'P.C. 1.9.8.4.' by Crisis and '1984' by The Unwanted ('1984, thought police at the door'). The Dead Kennedys sang 'Now it's 1984, Knock knock at your front door' on 1979's California Uber Alles, and recycled the line on their anti-Reagan anthem 'We've got a bigger problem now' (1981): 'Welcome to 1984, Are you ready for the third world war?, You too will meet the secret police, They'll draft you and they'll jail your niece'. 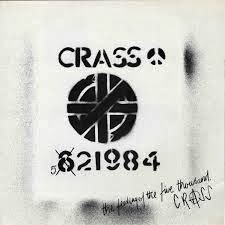 When Crass put out their first album in 1978, kicking off the whole anarcho-punk movement, the sleeve included the cryptic code 621984. Similar inscriptions on releases in subsequent years made it clear where this was going - 521984 in 1979, 321984 in 1981 and so on. 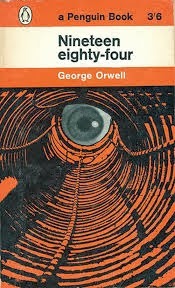 If there was some sense of foreboding at the approach of 1984 it was not down to just the power of Orwell's imagery. In the 1970s and early 1980s, fears and hopes of impending social crises led many to ponder on the possibilities of revolution, civil war, coups and dictatorship. The period had seen serious economic instability in the aftermath of the 1973 financial crisis, with rising inflation and unemployment. Strike waves from the 1974 miners dispute to the 1978 Winter of Discontent had undermined successive governments, guerrilla warfare was raging in the North of Ireland and there had been widespread rioting across England in 1981. Right wing factions in the Conservative Party and the secret state had certainly toyed with planning a military coup and suspending civil liberties to 'save' the country from what they saw as the Orwellian nightmare of socialism. In the circles around the National Association for Freedom the talk was of counter-insurgency and contingency planning to counter subversion. In a 1982 debate on local government, a Conservative MP warned of ' the entrance of municipal socialism' and pledged 'that unless we act now—before 1984—the Orwellian concept of 1984 and the corporate State might just happen' (John Heddle, Hansard 26 Feb 1982). On the left, these manoeuvres and a general growth in police powers prompted critiques of an emerging crisis state. Their Orwellian nightmare was of an authoritarian populist regime rallying the masses around the flag while crushing dissent. These ideas were not confined to the columns of radical newspapers. They also infused the dramatic (and sometimes self-dramatising) rhetoric of punk and its aftermath, flavoured with reggae-inspired notions of dread, Babylon and living under heavy manners. The election of a Conservative government in 1979 heightened this sense of intensifying antagonisms. The racist language of the far right was entering mainstream political discourse with Thatcher talking of 'Alien culture', and flag waving militarism had been revived in the Falklands war. The Cold War too was getting hotter with America and Russia deploying a new generation of nuclear missiles in Europe. As US President Reagan developed his plans for 'Star Wars' missiles in space, Labour leader Michael Foot once again reached for Orwell: 'President Reagan got through Congress his latest proposal for the so-called MX missile system. Such is the Orwellian state that we have reached, even before 1984, that he even managed to describe his proposition as a form of arms control' (1983). In the event 1984 in Britain may not have ended with war between Eurasia and Oceania, or outright totalitarian dictatorship, but it was not short of historical drama, with the most bitterly fought strike since the 1920s, the near assassination of the Prime Minister, hundreds of arrests in anti-nuclear protests, Stop the City... all this and Frankie Goes to Hollywood. 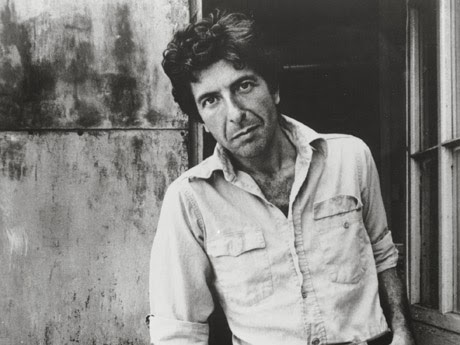 'I'm your man: the life of Leonard Cohen' (2012) is an excellent biography of everybody's favourite Jewish-Buddhist-Canadian singer/poet. With nearly 80 busy years behind him there's certainly plenty of material for a book like this, and Sylvie Simmons has interviewed the man himself and many of his friends, collaborators and lovers. One of the revelations to me was Cohen's time in London before his musical career. Cohen stayed at a boarding house in Hampstead from December 1959 to March 1960, working on a novel. With Nancy Bacal, a friend from Montreal, he drank regularly in the King William IV pub in Hampstead. After closing time they would explore the night time city, wandering around Soho and the East End. They went to the legendary All-Nighters at the Flamingo club on Wardour Street, with its mixed black and white crowd dancing to jazz and R&B. Bacal recalled that 'There was so much weed in the air that it felt like walking into a painting of smoke'. Back in Canada, Cohen came to the aid of Scottish writer Alexander Trocchi when the latter was on the run for heroin offences in 1961. He was smuggled over the Candadian border, where Cohen met him and put him up in his apartment in Montreal until he got on a boat to Scotland. Cohen later wrote the poem 'Alexander Trocchi, Public Junkie, Priez Pour Nous'. Cohen returned to London for four months in March 1962, and moved back to 'Mrs Pulman's boarding house in Hampstead' for a while. By this point Nancy Bacal had moved in with her boyfriend, Michael de Freitas - better known as Michael X. The Trinidadian had worked as an enforcer for the landlord Peter Rachman before becoming a civil rights activist: 'a bridge between London's black underground and the white proto-hippie community. Together, Michael and Nancy founded the London Black Power Movement'. 'On this and subsequent trips to London, Leonard got to know Michael "very well". He, Nancy, Michael and Robert Hershorn, when he was in London, would spend evenings in Indian restaurants, deep in discussion about art and politics... Michael X had told Leonard - perhaps in jest, perhaps not - that he planned to take over the government of Trinidad. When he did, he said, he would appoint Leonard minister of tourism'. Bacal and de Freitas split up in 1967, and renaming himself Michael Abdul Malik he founded the Black House centre in London's Holloway Road with support from John Lennon and Yoko Ono among others. He moved to Trinidad in 1971, where he was hanged in 1975 for murder, despite appeals for clemency from Leonard Cohen and other celebrities. UK Government documents just released by the National Archives include correspondence relating to a 1983 forged recording purporting to be a telephone conversation between Prime Minister Margaret Thatcher and President Reagan. The tape, apparently made up of a montage of their real voices, appears to show them discussing plans to fire nuclear missiles at Germany and the controversial sinking of the Argentinian ship the Belgrano by the British navy during the Falkands War. 'The tape is heavy with static and puntuated with strange noises, but through it all can be heard the authentic voices of Ronald Reagan on the telephone: "If there is a conflict we shall fire missiles at our allies to see to it that the Soviet Union stays within its borders." At the other end of the telephone is Mrs. Thatcher. "You mean Germany?" she asks increduously. "Mrs. Thatcher, if any country endagers our position we can decide to bomb the problem area and so remove the instability." If this is not hair-raising enough, we hear Mrs. Thatcher virtually admitting that she had the Belgrano sunk to end any chance of an agreement with Argentina. "Oh God!" says Reagan. The whole conversation is fake. Both voices are real but the words spoken have been doctored, cut, rearranged and then expanded on the transcript of the tape. Every word from Reagan is extracted from his lengthy presidential address on nuclear strategy. When, for instance, he seems to swear at Mrs. Thatcher, he is in fact coming to the end of his speech and quoting a hymn: "Oh God of love, O king of peace." The tape surfaced in Holland just before last year's British general election, but it never quite overcame the suspicions of Dutch journalists. They declined to publish the juicy exclusive, sent to them anonymously. But other journalists across the world have fallen for an increasing flow of such stories based on "authoritative" cables, memo and tapes. The State Department in Washington says they are all products of an increasingly sophisicated Russian campaign'. 'A tape recording, purporting to carry details of a secret telephone conversation between Mrs Thatcher and President Reagan, has been revealed as a hoax manufactured deliberately by an anarchist rock group. 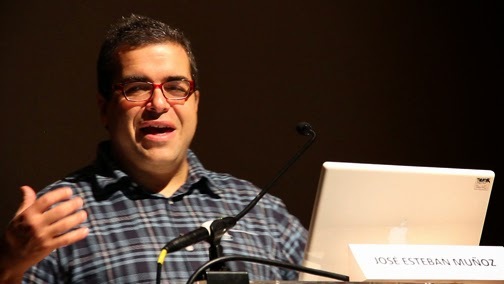 The recording was taken to newspapers throughout Europe - including The Observer-but, apart from one Italian newspaper, nobody had been taken in by the hoax tape until it appeared in the Sunday Times earlier this month. That newspaper described it as part of a KGB propaganda war. Unfortunately the tape was recorded not in Moscow but in an Essex farmhouse. The quest for the real hand behind the tape led to an isolated farmhouse in north Essex, where the eight members of the band live with their children. Reluctantly the members of the band, who sport names like Joy Be Vivre, G Sus and Sybil Right, admitted faking the tape. They showed how they had put it together over two and a half months, using parts of TV and radio broadcasts made by the two leaders, then overdubbing with telephone noises. 'We wanted to precipitate a debate on those subjects to damage Mrs. Thatcher's position in the election. We also did it because of the appalling way Tam Dalyell was treated over the Belgrano debate,' they said. 'We believe that although the tape is a hoax, what is said in it io in effect true'. A further letter on 21 July 1983 states that 'There is no information to indicate that any subversive group or individual in this country was involved in making this tape'. This letter seems to come from MI5, judging by its 'PO Box 500' address and the instructions that letters to that address 'must be under double cover' (MI5 was, maybe still is, sometimes referred to as 'Box 500' or just 'Box' in Whitehall). To be twisted and torn in filthy war. What right have you to defile those births? What right have you to devour that flesh? It was your decision to have those young boys slaughtered'. Like many others including the Labour MP Tom Dalyell, Crass believed that the Belgrano had been sunk on Thatcher's orders (with the death of more than 323 mainly young Argentinian sailors) while it was sailing away from the conflict, in order to scupper an American brokered peace treaty. Thatcher wanted the war to continue until Argentina unconditionally surrendered. A direct consequence of this was the sinking shortly afterwards of the British ship HMS Sheffield, with the death of 20 British sailors. Crass had their own sources about what happened. According to George Berger's book 'The Story of Crass' (2006), a sailor who served in the Falkands contacted the band on his return, and came to Dial House. Cuban-born American queer theorist José Esteban Muñoz died last month in New York at the age of 46.